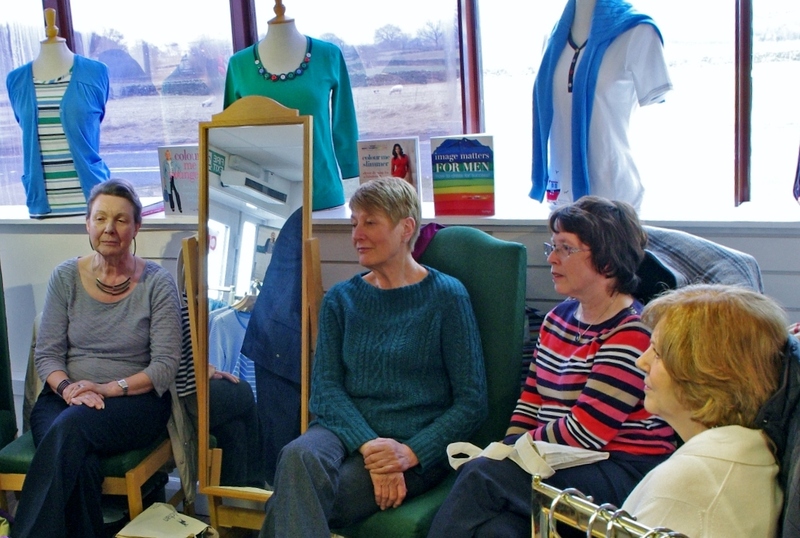 Four Casterton WI members really enjoyed themselves when they took up the offer from Tulchan to attend an event at their shop in Cowan Bridge with Cliff Bashforth, an expert from ‘Colour Me Beautiful’. 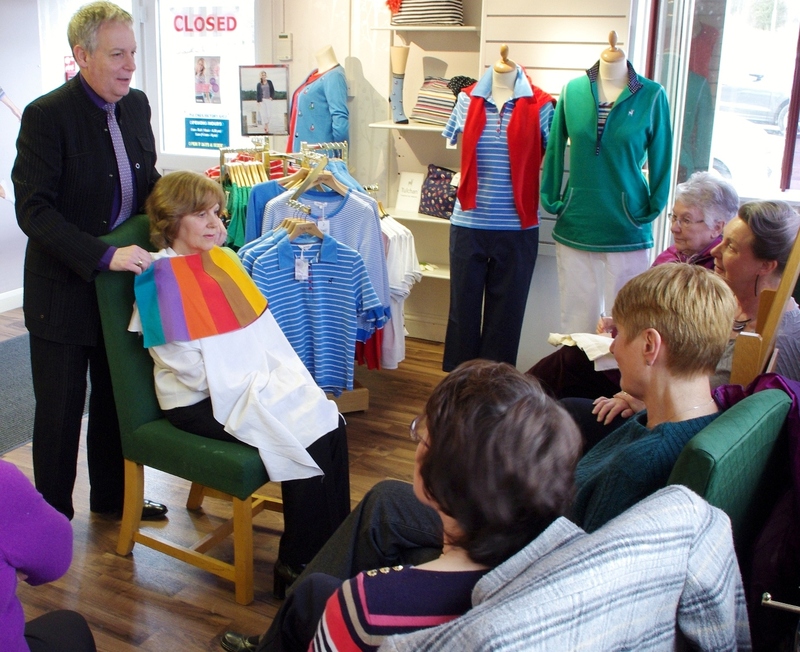 After explaining the different categories (warm or cool and light, clear, soft or deep) depending on hair colour, eye colour and skin tone, Cliff showed each of us, in turn, which shades of the different colours suited us best. 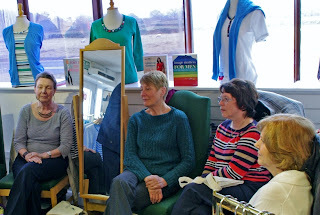 He also explained and demonstrated what less flattering tones did to us! After this, Cliff guided us round the shop and helped us to identify garments of suitable colours. There was no pressure put on us to make a purchase but we came away buzzing and we had all ended up buying ourselves something for our summer wardrobes. We now hope the better weather is on the way! The Tulchan staff looked after us wonderfully and soft drinks and biscuits were available. Checking the colours that suit Sheila.